In 2017 the Houston Astros won their 1st World Series championship. 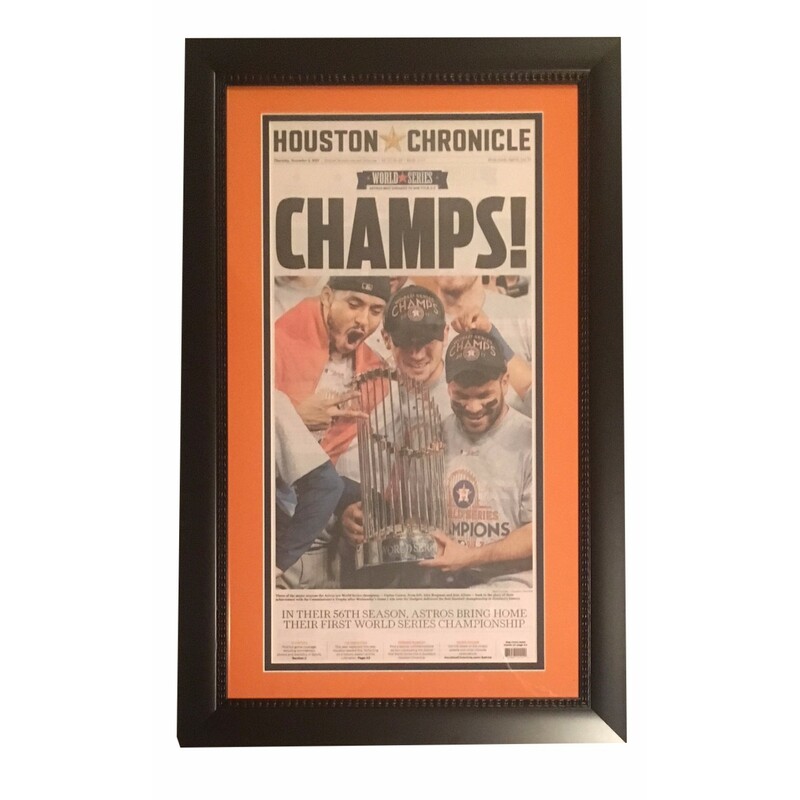 Celebrate this incredible win with the original front page framed of the Houston Chronicle the day after they won the championship. Black frame measures 16x26" and comes ready to hang. Item is not autographed. THIS IS THE ORIGINAL, AUTHENTIC FRONT PAGE.